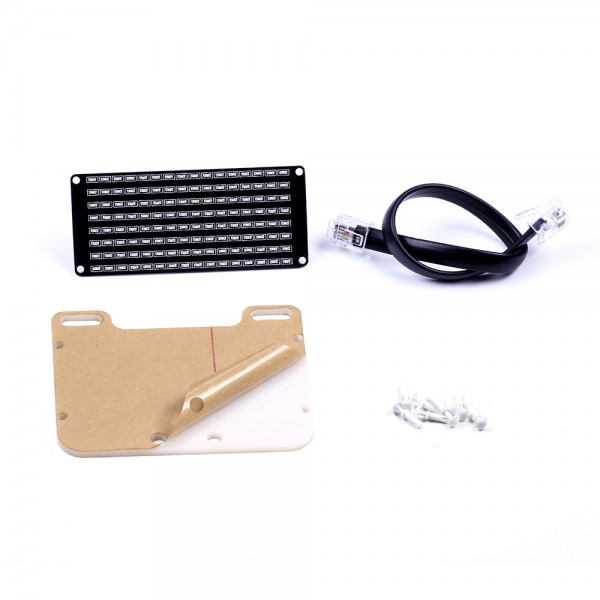 What's Me LED Matrix 8×16? Drag-and-dCustomized your own emotion, animation, scrolling-captions with mBlock which is a graphical programming environment based on Scratch 2.0 Open Source Code. 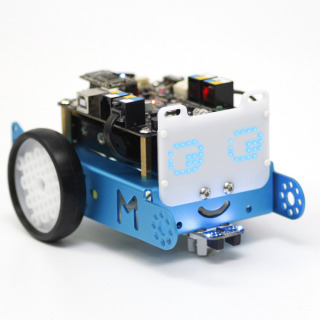 It makes programming projects and interactive applications easier thru simply dragging and dropping function block. Know more here. This Me LED Matrix 8 x 16 has 128 blue LEDS packed into 16*8 dot matrix. This feature enables you to show your animations or characters clearly and brightly. 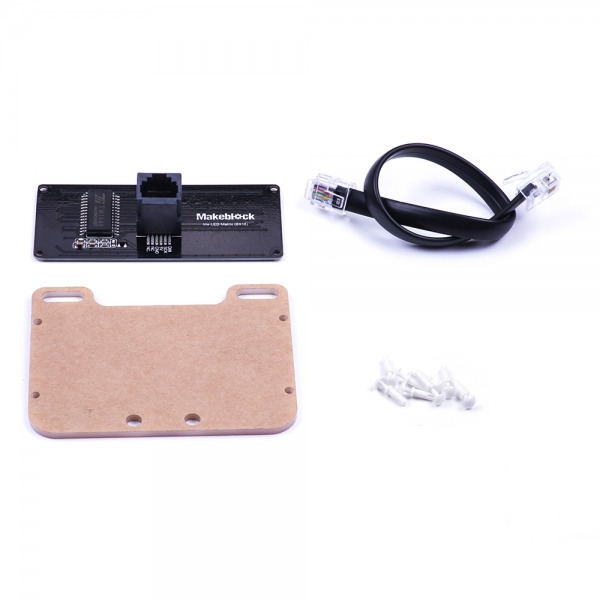 Specially designed M4 through holes on Me LED Matrix 8×16 enables you to assembly with other Makeblock items just by tightening the screws. This Me LED Matrix 8x16 is frequently-used together with mBot. Add this Me LED Matrix 8x16 to your mBot to color your experience of playing with the robot. It's highly welcomed bymBot users.